Adaptable to the requirements of each customer, Telcon has the expertise, flexibility and systems to apply many different SCM service options to control your inventory. We can help reduce your total cost and simplify your supply chain. VMI, Kanban and Min/Max are commonly applied throughout our customer base. In some cases we are directly linked with customer demand forecasts and MRP data, completely eliminating your need to manage and plan delivery schedules. Supplier selection, development, & management. Custom configuration allowing direct shipment to your customer. 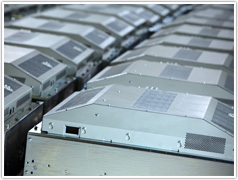 Telcon's flexible systems are adaptable to the requirements of each customer.